Representing the next generation of the world’s best-selling and most trusted enterprise mobile computer family, the MC9300 builds on the MC9000 Series and makes it even better. It delivers unsurpassed power and performance while continuing the legacy of rugged, reliable construction and superior all-day comfort. The MC9300 boasts the very best of today’s mobile technologies, the latest Android OS (Oreo)—and new Mobility DNA solutions to help customers get more from their mobile device investment. As the most rugged MC9000 Series device ever created, the MC9300 is ready to outlast virtually every device in its class in any environment—including demanding cold-storage and hazardous environments. 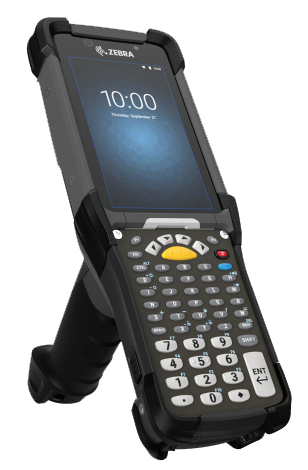 Customers get the simplicity of Android, the ultimate in processing power and memory, a larger touch display, the ability to capture the most challenging direct part marks and barcodes, twice the battery run time of the MC9200 and more.